CES students "million dreams for the world we're going to make"
Parents and children who will be 5 years old by Aug. 31 are invited to Chanute Elementary School at 6 PM to meet the teachers, visit the classrooms and get their questions answered. 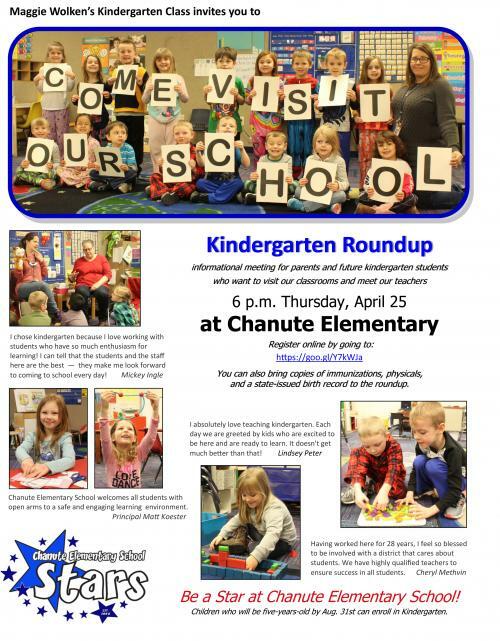 CES SCHOOL HAPPENINGS:Kindergarten Roundup is coming – THURSDAY, APRIL 25! 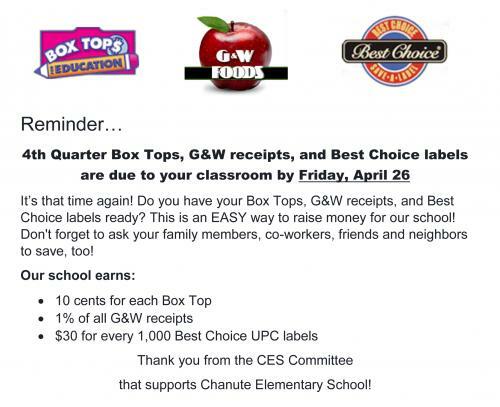 Fourth Quarter BOX Top Turn In – FRIDAY, APRIL 26! Reminder: Doors do not open until 7:45am and no student is supervised until that time. It is not healthy for students to stand out in the weather prior to 7:45am so do not drop students off or let them walk to school prior to 7:45. This is still 45 minutes before the school day starts. 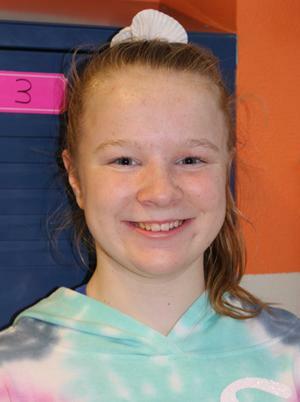 Kiley Dillow applied to be on the Fifth Grade Leadership Team because she wanted to help the school be a better place. 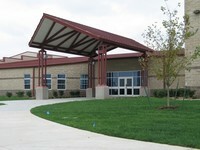 “I wanted to make the school be a great place where all the kids would want to come and have a great day,” she said. She enjoys working to make the school fundraisers fun and successful. “I really like to make up the (incentives) for fundraisers like when Mr. Hoops had to kiss a cow if we raised enough money,” she said. She would encourage others to apply to be on the team.  “You should do it. It’s a lot of fun. You can make friends. It’s definitely the place to be,” she said. Outside of school she prefers to keep moving, choosing to be involved in lots and lots of sports. “Swimming or softball or basketball. I really don’t have a favorite. I like them all,” she said.